Hiya all! 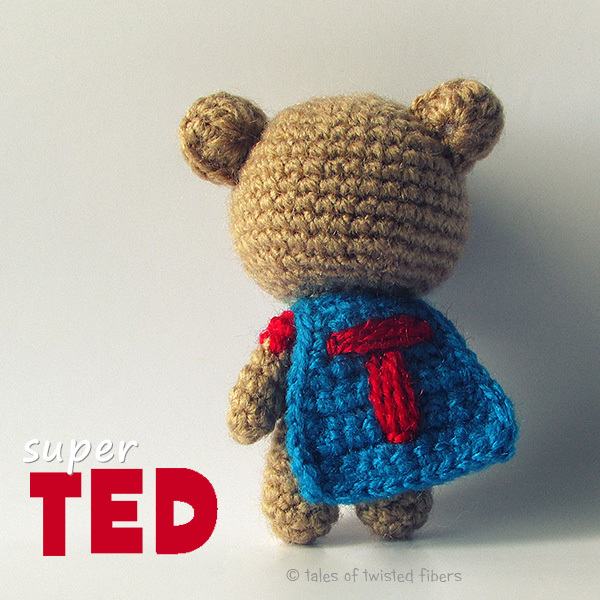 This is Super TED, a tiny little superhero teddy bear. During the day, he’s like just any other sweet little teddy bear, a friend to little kids. But once the lullabies are sung and the little ones drift into the dream world, Super TED turns into a warrior—a deadly 4-inch foe to monsters hiding under the bed. POW! 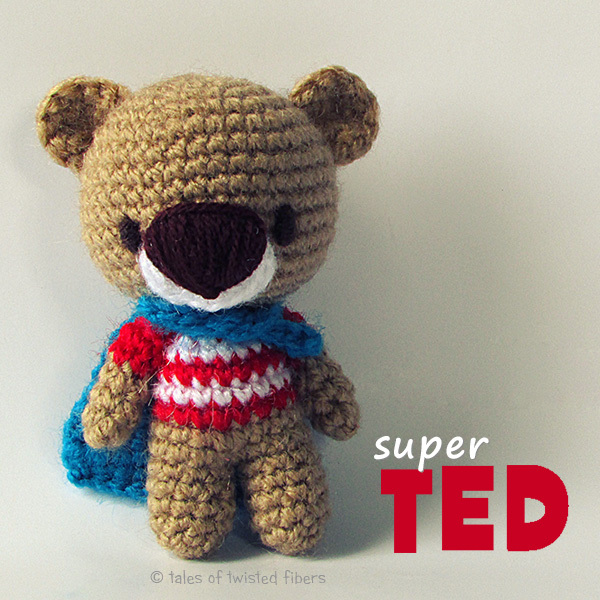 Super TED is a super simple—and free!—amigurumi pattern, perfect for beginners. For the more experienced, it’s still a fun and quick stash busting project. If you liked this free amigurumi pattern, would you please consider making a small donation to an organization that works for animal welfare in Nepal? Animal Nepal is a not for profit, animal welfare and rights organization. It runs two sanctuaries for homeless and injured animals as well as abused working animals, besides campaigning for animal rights. If you want to see the wonderful work these folks do, you can check out their Facebook page or their blog. You can also help them by donating here. He is adorable, after i get this tissue couch finished I am going to have to make one. Thank you, Sue, for your lovely comment and for your interest in Animal Nepal 🙂 Those folks are such angels, working tirelessly for the animals! 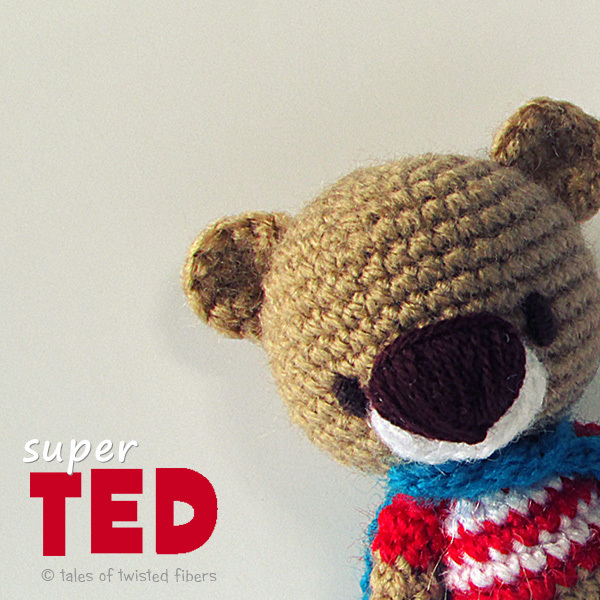 Super Teddy is super cute and I really like him a lot. Thanks for sharing this super awesome pattern. Your creations are always amazing. 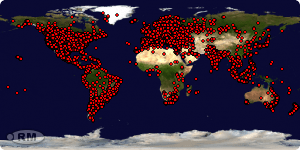 Thank you so much for sharing them, and your support of Animal Nepal as well. We need more people like you in this world. Hello! Let’s bet that Super Ted and Batman amigurumi will become friends and then the was the “Avengers amigurumi”… Cute pattern thank you! Please check your inbox. A little fella is waiting for you there. 🙂 And thanks for letting me know the link is broken. I’ll fix it as soon as I can. Reblogged this on Gráficos e Receitas.